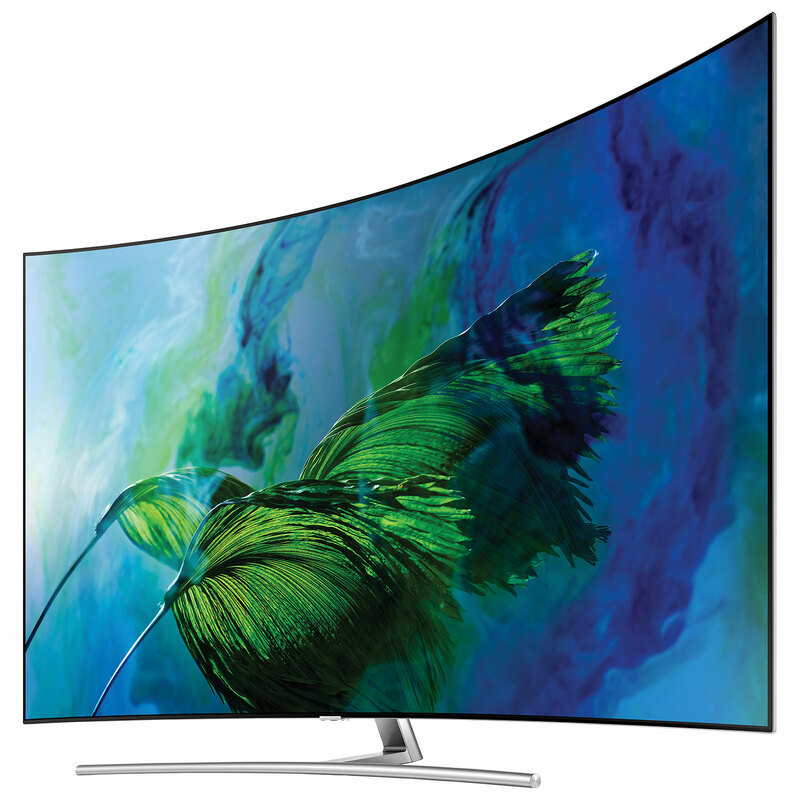 When it comes to 4K TVs, there are a few brands that come to mind, such as LG, Sony, Vizio. 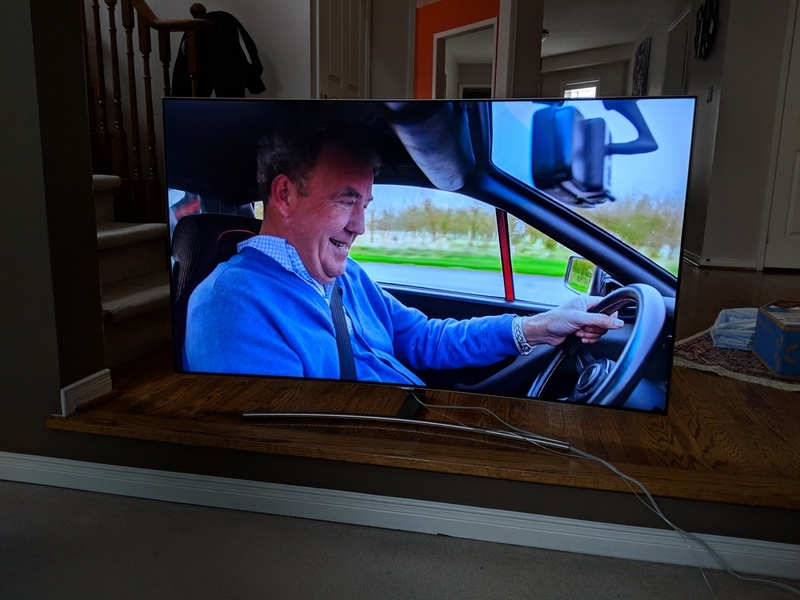 One of which is Samsung, I’ve been testing one of Samsung’s QLED TVs (QN55Q8CAMFXZC) that they introduced last year and it’s easily one of the best 4K TVs I’ve tested. Samsung’s QLED TV lineup is all about picture quality, style and smart technology. All the TVs in Samsung’s QLED lineup are 4K Ultra HD meaning that they have a native resolution of 3840 x 2160, about 4 times Full HD. QLED TVs use Samsung’s Quantum Dot technology to help deliver a better overall picture, especially when it comes to colour volume and deeper black levels. Video on the Samsung Q8C QLED TV looks absolutely stunning, you can really see the details, especially since TV also supports HDR. I tested the Samsung Q8C QLED TV with the Xbox One X as well as the Apple TV 4K, which I’ll get to later. The Samsung Q8C QLED TV has a sleek metal design and a curved display. I didn’t find the curve of the screen to enhance my viewing experience, it made it look a lot nicer. The Samsung Q8C TV is near bezel-less so you can see more of the content on your screen. 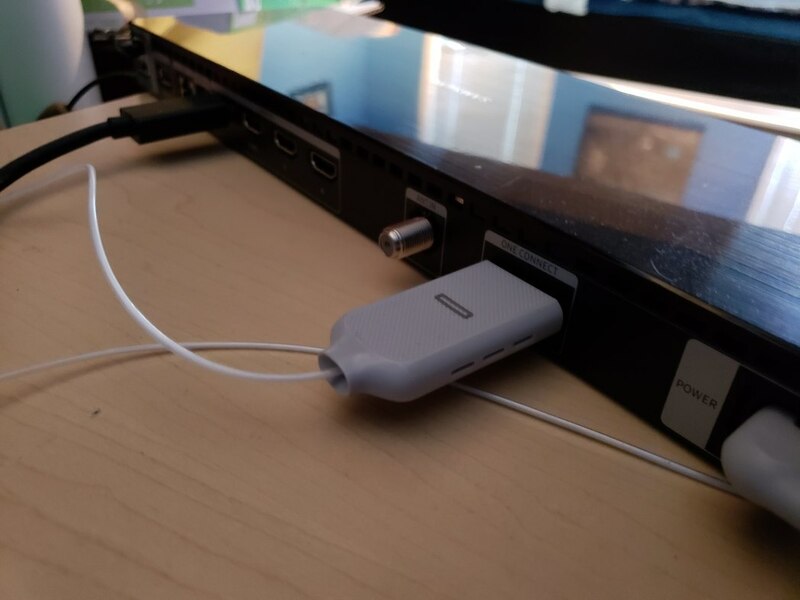 The back of the TV has a few ports, one is Samsung’s One Connect port which connects to their One Connect box that has all your connections as well as a power port. The One Connect box is designed to eliminate cable clutter. You’ll just have one cable going from the back of the TV to the box. This is helpful if you’re mounting your TV to your wall, then you can easily access HDMI ports without needing to worry about blindly plugging some in the back of the TV. The box has 4 HDMI ports, 3 USB ports, Ethernet jack, coaxial for cable connections and the One Connect port. One thing to note is that the One Connect cable has a specific end that connects to the box and one end that connects to the TV, they are labelled with icons. 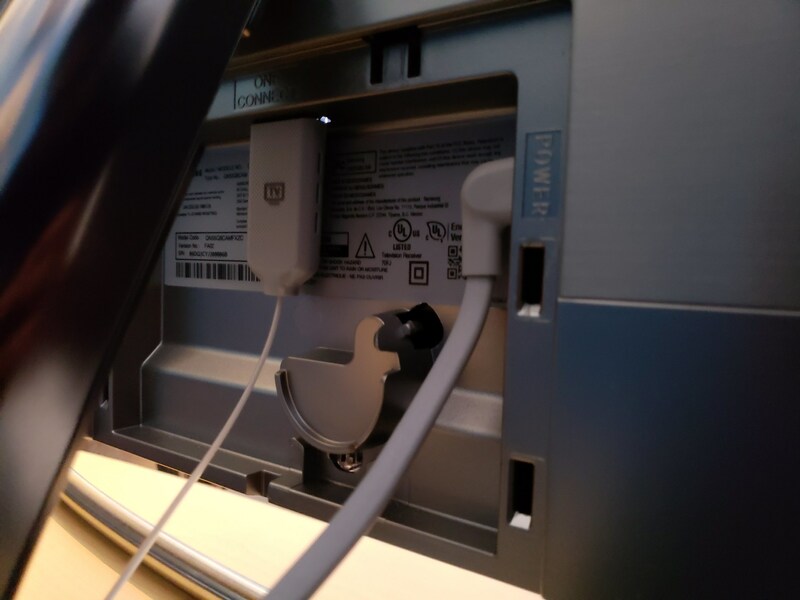 Another thing to note is that you’ll need on power outlet for the TV itself and one of the One Connect box. The Samsung Q8C QLED TV has a number of stand options including the Gravity Stand which has a swivel function for easy rotation of the TV. The Studio Stand allows you to show-off your TV on a stand that’s similar to an easel. Cables are hidden in the Studio Stand for the Samsung Q8C QLED TV. 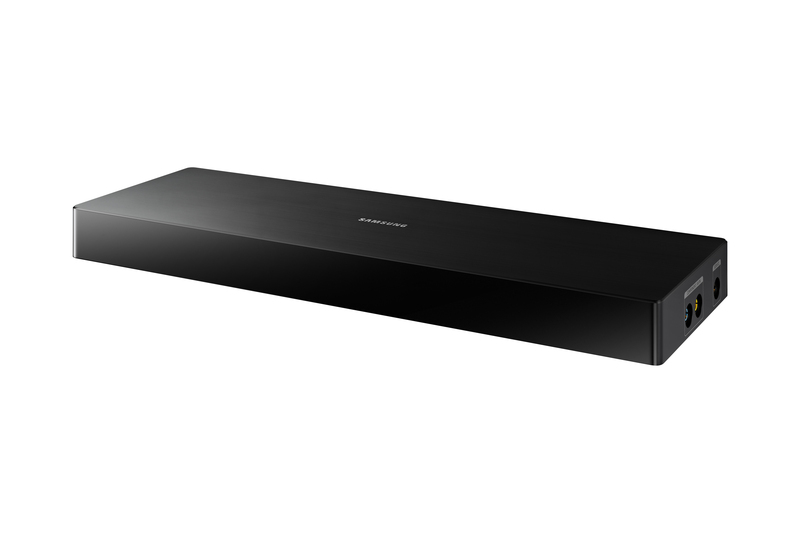 The Samsung Q8C QLED TV comes with a One Remote control which allows you not only control your TV but you can use the remote to control devices connected to your TV using Infrared. The remote does have voice control but I didn’t find myself using it that often. 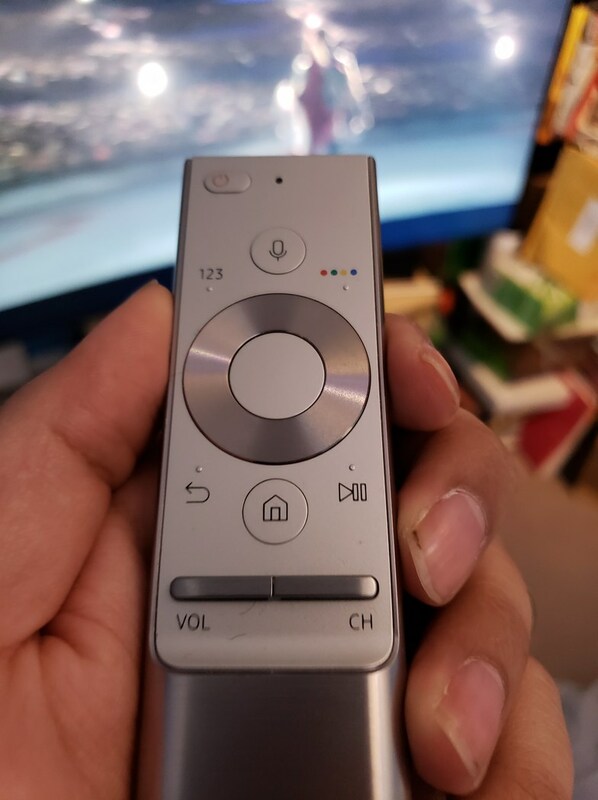 One thing to note during the setup, to pair the remote to the TV, press and hold the Return button and the Play/Pause button until a pop-up notification appears saying that your remote is paired. 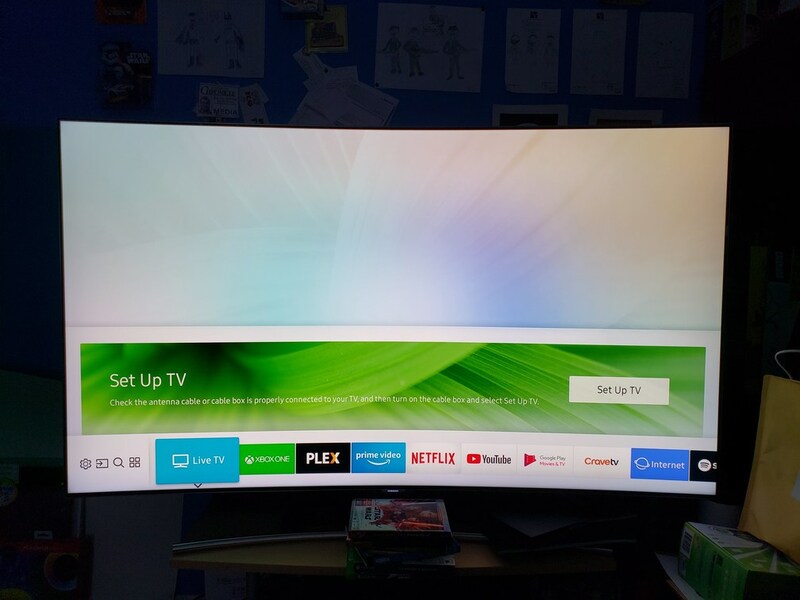 I learned this the hard way because the setup process didn’t show you how to pair the remote with the Samsung Q8C QLED TV. 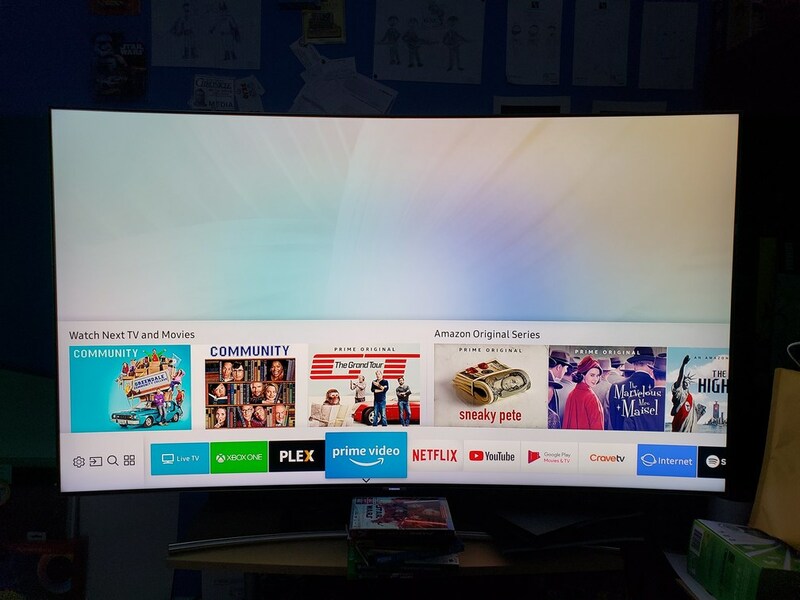 The Samsung Q8C QLED TV is available now for around $2,499 CAD but you can probably find it for less, especially since the model I was reviewing was the 2017 version. You can buy the Samsung Q8C QLED TV from BestBuy.ca. 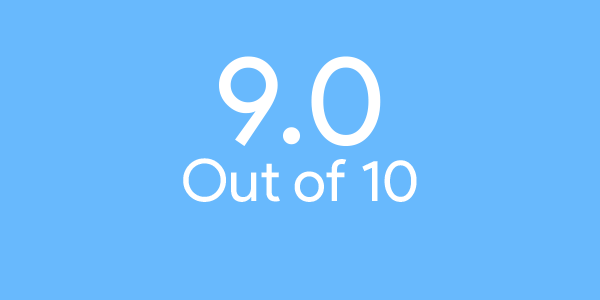 The Samsung Q8C QLED TV is powered by Tizen which is Samsung’s own operating system. The interface on the TV is Samsung’s Smart Hub. You’ll be able to access your favourite apps such as Netflix, CraveTV, Spotify, Prime Video and even YouTube in 4K. 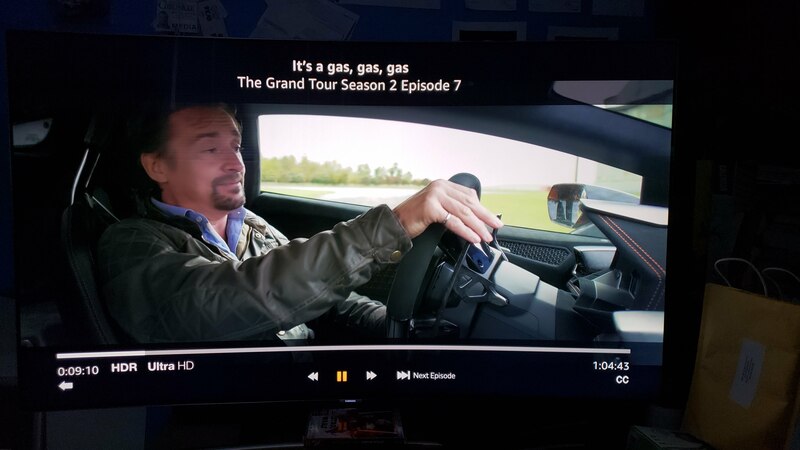 I watched a lot of 4K content on the Samsung Q8C QLED TV including, The Grand Tour on Prime Video, Somebody Feed Phil on Netflix using the apps for Samsung’s Smart Hub and even Dunkirk and Spider-Man: Homecoming on iTunes via the Apple TV 4K. I also watched BBC’s Planet Earth II on 4K Blu-ray using the Xbox One X. All the 4K content on the Samsung Q8C QLED TV looked amazing. Words can’t describe what watching 4K is like, just know that you’ll be blown away. 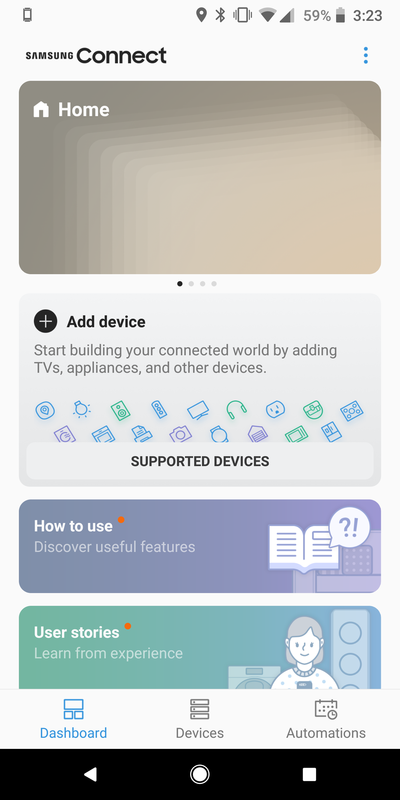 You can control your Samsung TV using your Android or iOS device but sometimes it wouldn’t always work so I wouldn’t rely on it all the time. The main reason why I wanted to test out one of Samsung’s QLED TVs was to use it along with the Xbox One X. The Xbox One X allows you to game in true native 4K. Games looked absolutely amazing on the Samsung Q8C QLED TV when using the Xbox One X. You can really see more details and farther draw distances and better gaming performance overall. The Samsung Q8C QLED TV is a not only a well-designed TV but also one that can deliver amazing picture quality in 4K. The TV is a great choice for those looking to complement their Xbox One X purchase.